WordPress is currently the fastest growing CMS software or content management system. 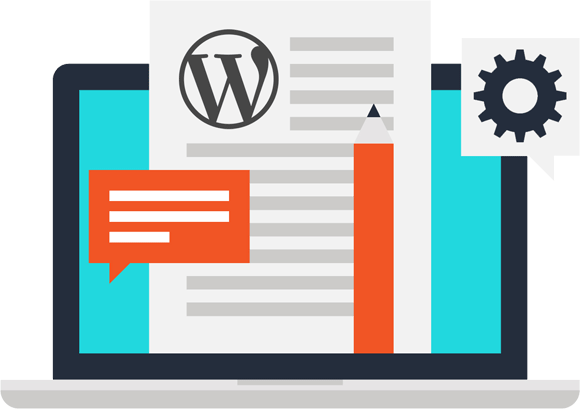 WordPress is flexible, highly customizable, super user-friendly, and is a great content management system (CMS). You can use it for blogs, small business websites, and even e-commerce. It also has an amazing number of plugins which allow extension of its functionality in various possible ways. We have best WordPress developers that can bring your website up to date and add that custom touch you always wanted. We'll install any any types of WordPress theme and make it look like one of the demos. Smartetouch provides full range of WordPress theme & template customization services. We make unique content for your site to make sure you stay ahead of your competitors. We'll provide a complete suite of SEO Services to help clients generate leads, acquire customers and grow business. Starting a website with WordPress is really easy! There are several things you should consider though: hosting, installation, themes and management of content. While tailoring your themes to suit your business sensibilities, we take every measure to keep it responsive and compatible across different platforms. Without falling prey to the mainstream and hardly effective ways of theme customization, we deliver services that make this customization a pleasant romp. We'll install WordPress and any types of WordPress theme pack and make it look like one of the demos.